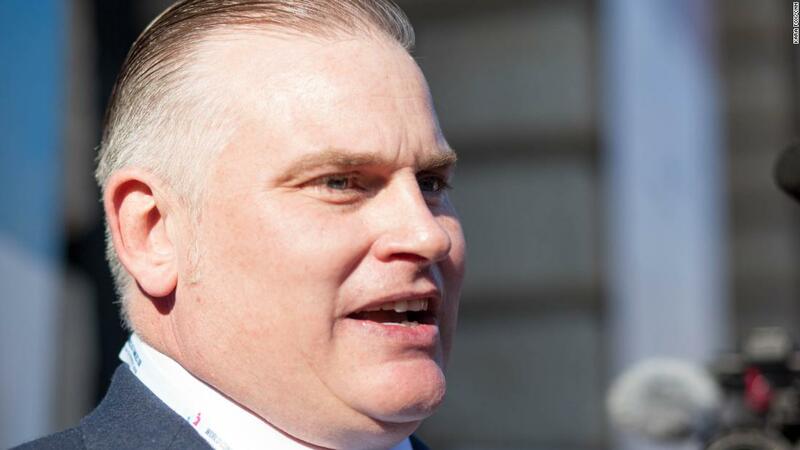 Verona, Italy (CNN) In a 17th century palazzo in the Italian city of love, an international alliance of far-right politicians, conservative activists and religious leaders have united in hate. “The feminists that speak of women’s rights and are the first to pretend to not see what is the first, only and major, real danger in 2019 for rights, social achievements, freedom to work, study, speak, study, dress as you like — and it’s not the World Family Congress — it’s Islamic extremism, a culture where the woman’s value is less than zero,” he said. “The woman gets covered with a burka, the woman doesn’t have to leave the house, the woman shouldn’t wear a mini-skirt, and if she dresses too western, thinks too western or becomes too western, (they) beat her up. Not from the dangerous extremists of the Family Congress,” he added. As he spoke, a sea of some 30,000 protesters, according to police, in fuchsia clothing flooded the city’s cobblestone streets and winding roads, carrying colorful banners and chanting a Romeo and Juliet analogy seen through feminist eyes. As they approached the city gates, they shouted, “together we don’t fear,” a rallying call against the themes and ideas espoused by speakers and attendees inside the congress. Also in attendance was the Russian Orthodox Archpriest Dmitri Smirnov, who has said that Muslims will prevail over Christians, “because they don’t want to live in a state ruled by homosexuals,” and Babette Francis, the president of the Australian Endeavour Forum, an organization, which supports gay “conversion therapy,” and perpetuates a debunked theory that abortion is linked to breast cancer. 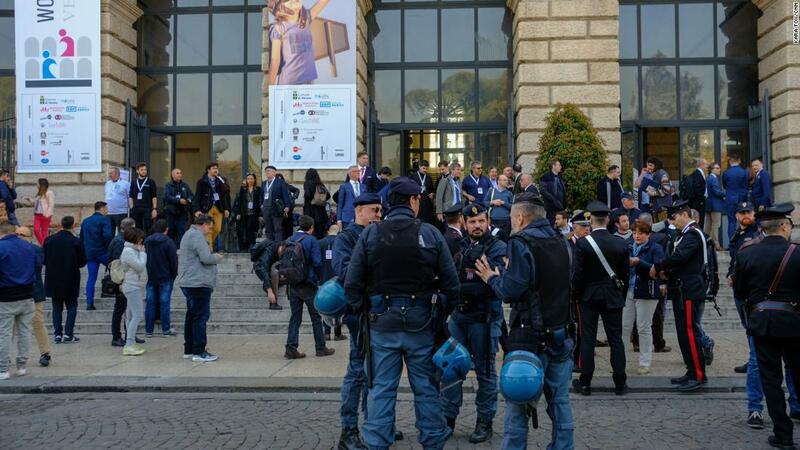 While the WCF and many of its speakers are no stranger to controversy, whatever public pushback they’ve experienced during the conference (including a petition signed by more than 670 researchers, academics and staff at the University of Verona, a call to boycott the hotels hosting delegates, and a series of counter-demonstrations) has only strengthened the resolve of the group in their defense of the ideas of the “natural family” and the freedom of speech. “Long live liberty,” she said to a swell of applause inside the conference. Much of the narrative throughout the weekend focused on the “beauty” of the “natural family,” defined by the group as one that exists as a heterosexual marriage bearing children. Others made more political overtures under the “pro-family” umbrella. Veteran WCF critics say that the pro-family movement’s language is just a front for divisive, harmful rhetoric that’s making gains in European institutions. 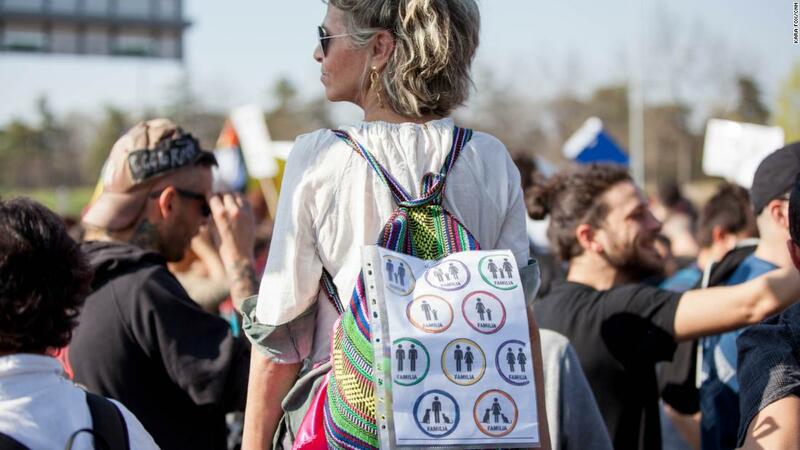 “They frame it as being in favor of family and life and religious freedom, but really what they mean is simply different ways of restricting peoples human rights,” Neil Datta, Secretary of the European Parliamentary Forum on Population and Development, told CNN. “People get together, then exchange different ideas…then you see these ideas appearing on a national level over the next few years,” Datta said, noting a few examples from recent WCF gatherings. Human rights defenders however, say you can’t divorce the two. 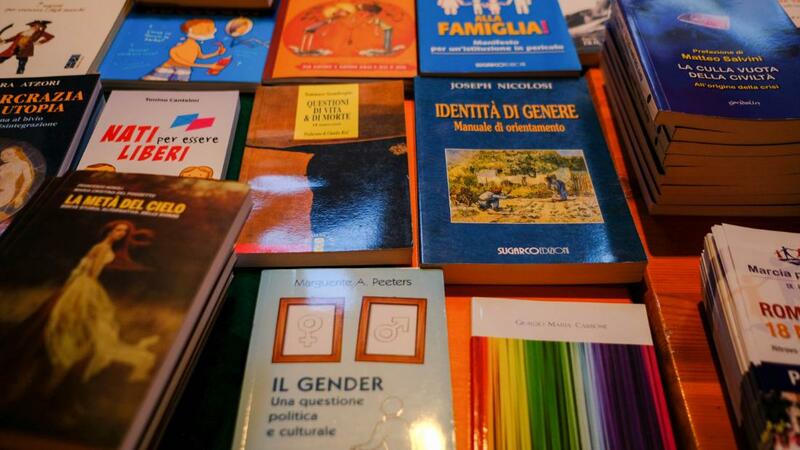 Ilaria Ruzza, president of SAT Pink, a transgender group associated with the LGBTQ group, Circollo Pink, told CNN that Verona has “always been the lab of the far right,” and that LGBTQ rights have deteriorated in recent years. “The hate was already here,” Ruzza said. “You could smell it, you could feel it. Now you can see and feel it… now they have an authorization,” Ruzza said, adding that the city’s decision to hold the WCF conference — a platform she says gives “ignorant people the right to speak” — is particularly egregious for the taxpayer, as it was organized in one of the greatest palaces in the city, at no rental cost for the organizer. The Mayor’s office confirmed to CNN the venue was “donated” at no cost. Other regional leaders and members of Salvini’s League party, have been more explicit about the convergence of the congress and politics. The EU Parliament’s President Antonio Tajani was even listed as a congress speaker until a letter sent by members of the assembly’s intergroup on LGBTI rights asked him not to attend. When his attendance was noted absent at the conference due to the protesting of that group, the audience booed. Kristina Stöckl, Professor at University of Innsbruck in Austria, has mapped the growth of the WCF. She says it’s clear that politicians are using family themes to drive their own agendas. 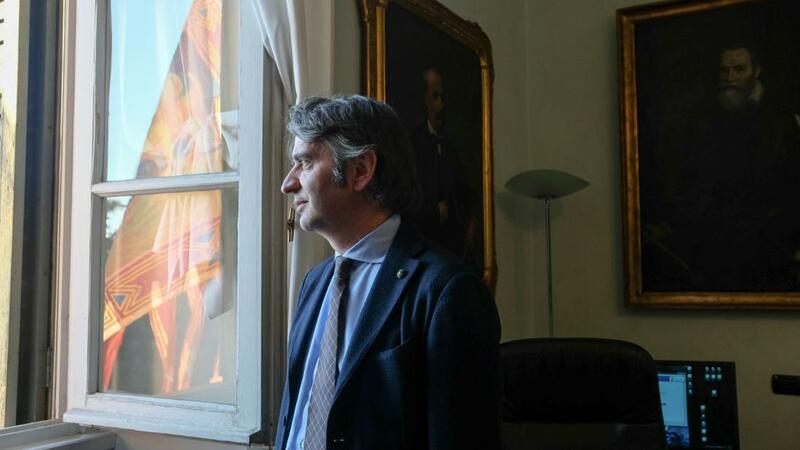 Europe’s nationalist and far-right political parties have seen a widespread resurgence on family-driven platforms, with Italy, under Salvini’s far-right League party, finding fertile ground with those initiatives. In last year’s Italian parliamentary election, the League boosted their seats from 22 to 128. Now, it governs Europe’s fourth largest economy in a coalition with the anti-establishment Five Star Movement party. Once seen as a fringe party, Salvini’s league now enjoys the support of one in three Italians. 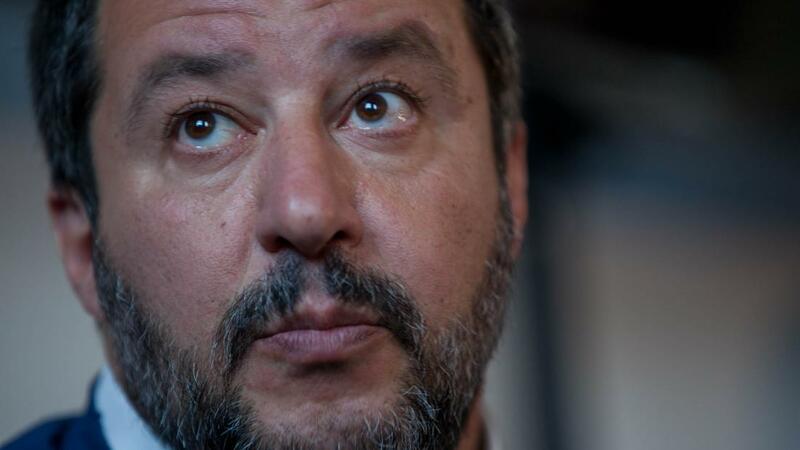 Part of Salvini’s success is attributed to the way he’s co-opted the family values rhetoric, which some experts say gives him a softer appearance that appeals to a certain part of the electorate who might find his hardline position on other issues unacceptable. “The populist right wasn’t interested in family to start with; they have discovered it because it’s an opportune topic, and they’re using it,” Stöckl said. 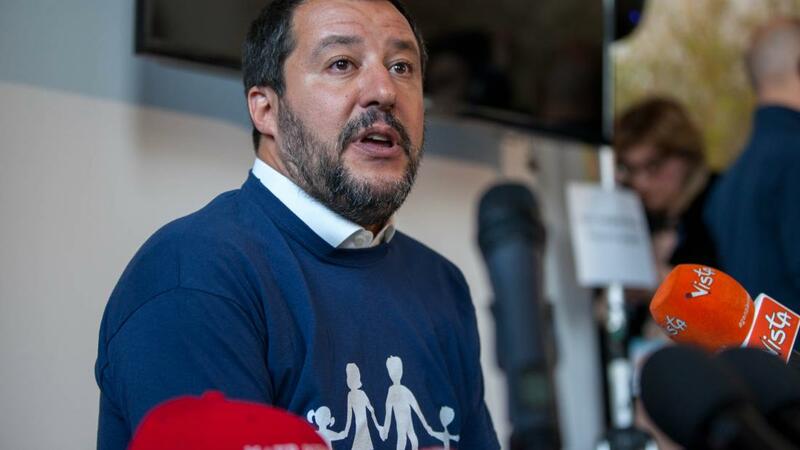 Salvini, a Eurosceptic, has also used the family topic to “drive a point that is really not about family,” but about legal sovereignty, according to Stöckl. Interference — or influence — from US Christian right groups and Russian oligarchs have also fueled support for groups like the WCF, which have links to the far-right. And it’s not just US money that is a part of this equation. WCF’s roots were first planted in Russia following a meeting between American academic Allan Carlson and Russian intellectuals Anatoly Antonov and Viktor Medkov. Since then, those WCF and Russian connections have further entangled. Russian WCF representative Alexey Komov brings Russian Orthodox Oligarchs, including members of billionaire Konstantin Malofeev’s charity St. Basil the Great, to the conference annually. Still, a consortium of feminists, abortion rights activists and LGBTQ groups are pushing back. It’s the first time there’s been such a visible and organized opposition to the group. 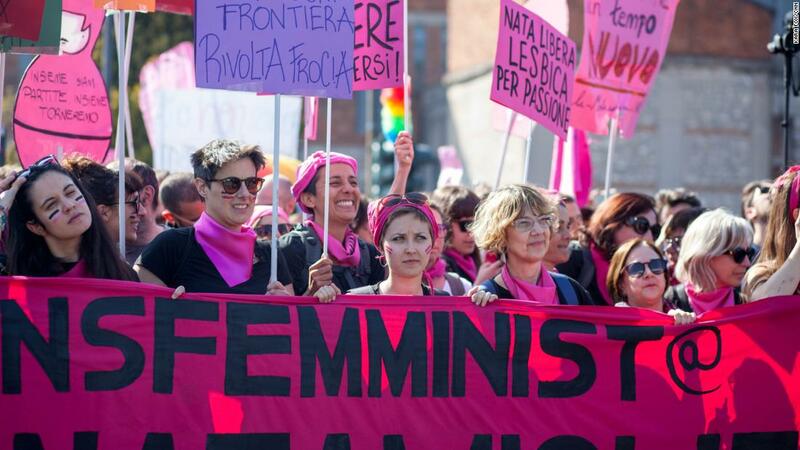 “We want to make people aware of what is happening and to outline the threat that everybody is facing — it’s not just a feminist thing,” said Alessandra Celati, a historian and member of the “Non una di meno” group, who had organized the weekend of counter-protests in Verona.